Who can resist these delicious looking wooden biscuits to be served at the grand tea party! A cute petite metal tin with 12 little wooden biscuits inside. 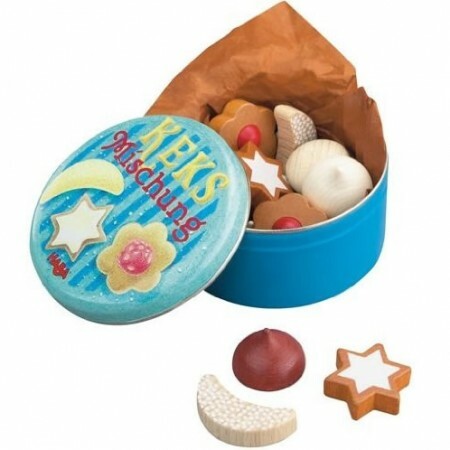 There's all sorts of shapes and types of biscuit; stars, moons, circles, creamy ones chocolate ones and more. Great for playing pretend games, counting and having fun.